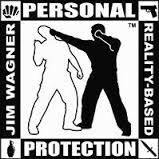 Leading the reader through simple yet powerful, brutally effective methods of self-defence designed for use in myriad street crime scenarios, this guide explains the use of force continuum and teaches how to efficiently avoid potentially violent encounters though the use of "pre-incident indicators." The techniques depicted are credible, relevant, practicable, and utilised by members of elite military units and U.S. government personnel travelling abroad to high-risk areas of operation. The philosophy of "less is more" results in a succinct system of self-defence that is drawn from the author's experiences as well as the collective experience of his students around the world.